Join legendary surfing photographer Brian Bielmann and adventure sports photographer Michael Clark for an exciting one-of-a-kind workshop that delves into the world of surfing photography. 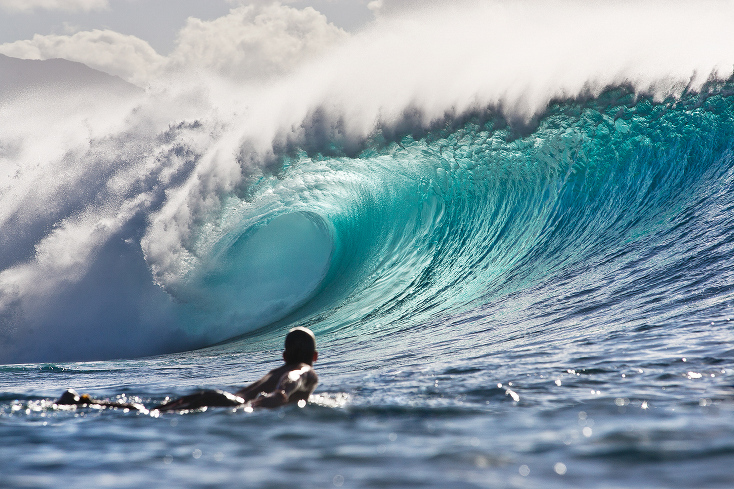 Brian is a top surfing photographer who has been shooting the sport for more than 35 years. Michael brings his adventure photography skills and knowledge as well as his in-depth experience with digital workflow to round out the workshop. The workshop is scheduled during a period where large waves hit the north shore frequently. 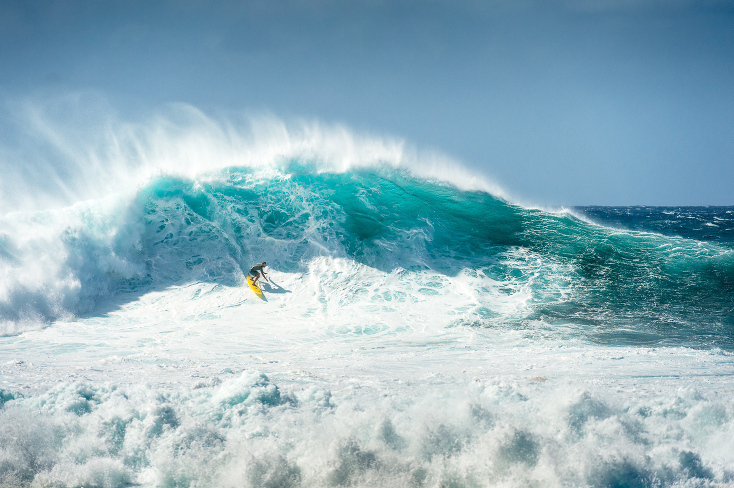 Though we cannot predict or guarantee the wave size or surfing conditions, the north shore of Oahu serves up sizable waves on a nearly daily basis. Depending on the waves, we will choose the best locations for shooting and we will also schedule lifestyle shoots that help to fill out our coverage of the world of surfing. Introduction to surfing photography, gear selection, camera setup and shooting options. Cover basic digital workflow and then head out to shoot at the world-famous Pipeline on the north shore of Oahu. Dawn Patrol: Early morning surfing shoot on the north shore of Oahu – actual surf break to be determined depending on conditions. Group critique of previous days images, discussion of underwater photography and shooting from the water. 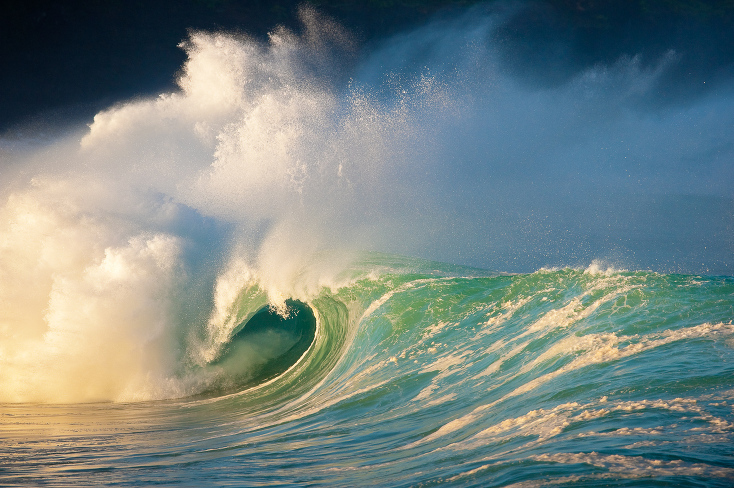 Evening shoot with strobes on the north shore of Oahu – actual surf break to be determined depending on conditions. Group critique of previous days images, portrait shoot on the beach with male and female surfers. Group critique of previous days images, wrap up and discussions on the art of surfing photography. Please note that locations may change depending on conditions. Brian Bielman is a legendary surfing photographer. He has shot everything from fashion, to rock stars, to surf. From world champ surfers Mark Richards to Andy Irons, he has captured them all and just about everything else important that has happened on Hawaii’s North Shore since 1975. He was there to document the early days of Teahupo’o (Tahiti) and put a fresh perspective on it ten years later with his underwater images. He is well known for not only his above water surfing images but even more for his stunning underwater images of surfing. Able to shoot more than just the action Brian also captures the spirit and faces of surfing. You can see more of Brian’s work at www.brianbielmann.com. Michael Clark is an internationally published outdoor photographer specializing in adventure sports, travel and landscape photography. He produces intense, raw image of athletes pushing their sports to the limit and has risked life and limb on a variety of assignments to bring back stunning images of rock climbers, mountaineers, kayakers and mountain bikers in remote locations around the world. He contributes to National Geographic, Sports Illustrated, Outside, Men’s Journal, Backpacker, Outdoor Photographer, Digital Photo Pro, Climbing, Alpinist, Rock and Ice, Bike Magazine and The New York Times among many others. You can see Michael’s work at www.michaelclarkphoto.com. The cost of this workshop is $1,295.00 per person. The same rate applies for each participant regardless of whether they are doing photography and participating in the workshop, or not. A deposit of $500 is required to secure your spot on the workshop. Final balance will be due no later than January 15, 2016. Please note: We will attempt to adhere to this itinerary as much as possible. However, certain conditions, such as bad weather, lack of waves, or other issues may necessitate changes in the itinerary. We reserve the right to alter any itinerary at any time, if necessary. The classroom portion of the workshop will be held at the Turtle Bay Resort on the north shore of Oahu. We have negotiated a group rate that is discounted from their advertised prices. To receive the discounted rate, please mention the Surfing Photography Workshop. Please note that there are few if any other hotels on this side of the island. If you would prefer to stay elsewhere there are also hotels in Haleiwa, which is 12 miles south of the hotel and approximately a 30 minute commute. Most major airlines service the island of Oahu, Hawaii. Honolulu, the major city on the island is approximately one hour south of the north shore and our hotel. The Turtle Bay Reset is located on the northern tip of Oahu and is somewhat remote. The hotel has a restaurant, golf course, tennis courts and of course is located right next to the beach. We do not provide transportation during the workshop. Please plan ahead and reserve a rental car. Rental cars are available in Honolulu. Of course, we will share vehicles and car pool to make life easier for all of us. We are not responsible for reimbursement of non-refundable airline tickets in the event of a workshop cancellation. Also since surfing photography relies on large telephoto lenses, each participant will need to bring a telephoto lens that is at least 400mm. A 500mm or 600mm lens is preferred. If you don’t own one of these lenses please rent or borrow one to bring with you. Please contact Michael or Brian with any questions about lens selection and rental options. Both B&H and Samy’s Camera in the USA have rental houses that can rent these lenses. We also have a special deal with Hawaii Photo Rental Oahu who have 500mm and 600mm lenses for both Canon and Nikon and will be renting these to workshop participants at discounted rates ranging from $323 to $550. Call Josh Strickland at Hawaii Photo Rental Oahu at (808) 735-3838 for more information on renting one of these lenses. Also, if you plan to shoot in the water please bring your underwater camera housing. Brian has several underwater housings for Canon cameras and will have these available for those that want to try them out. If you’ve always wanted to shoot the amazing sport of surfing, then now is the time to register. Remember, there will be limited space available for this workshop. When they’re spoken for, that’s it. If you have any questions before registering, send us an e-mail with any inquiries to info@michaelclarkphoto.com. To register for the workshop send me an email and I’ll send you a payment request for the deposit and a packet of information about the workshop. We hope you can join us for this stellar workshop! If you have any questions please don’t hesitate to contact either myself or Brian.